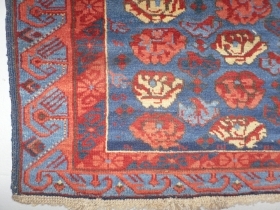 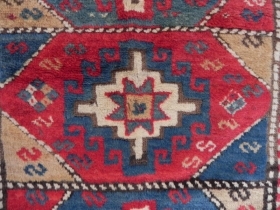 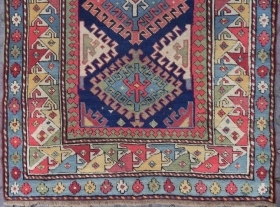 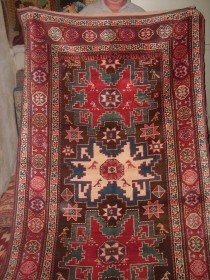 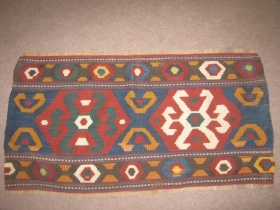 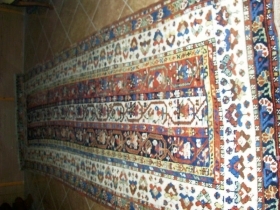 Cloudband Karabagh Rug. 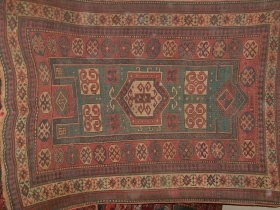 19th c.
Antique Caucasian Borchalo Kazak Rug, 253 x 157cm, 19th Century, overall in good condition, needs minor restoration of the scattered worn areas. 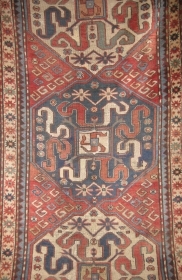 a Splendid Caucasian Karachov Kazak Rug, 233x178 cm, 19th Century, good condition. 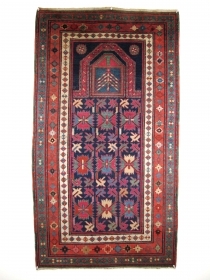 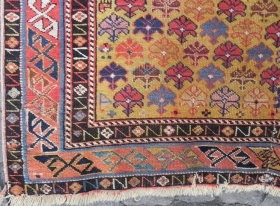 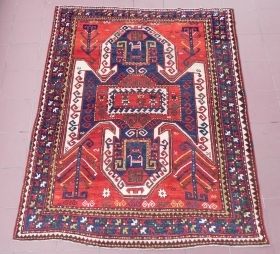 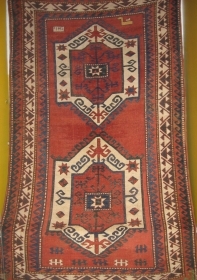 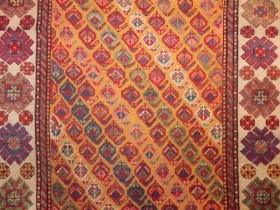 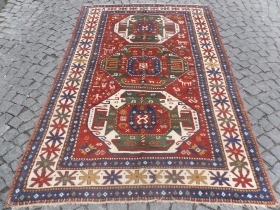 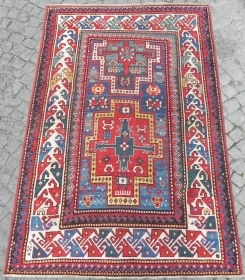 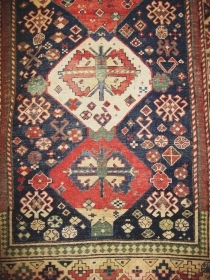 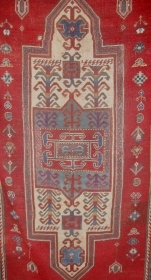 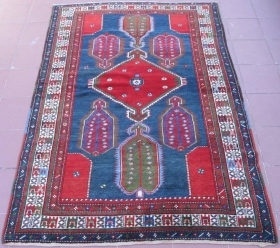 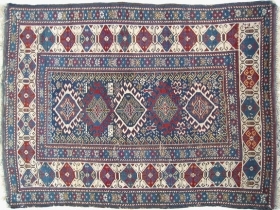 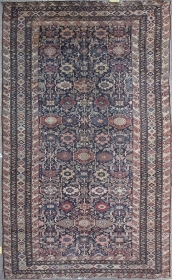 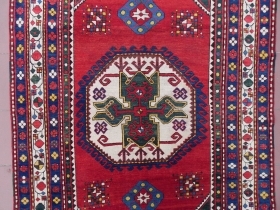 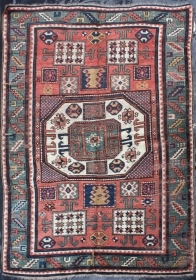 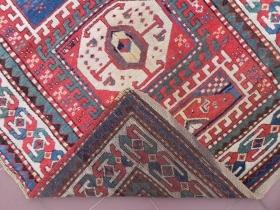 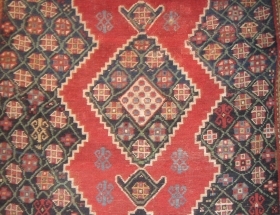 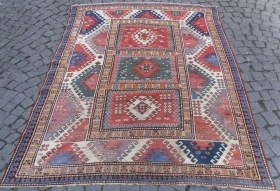 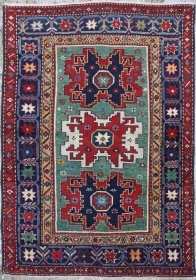 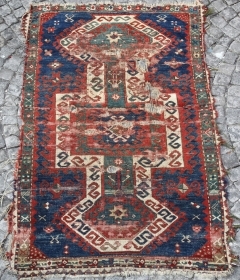 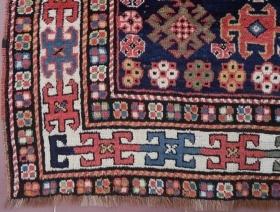 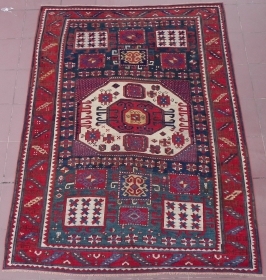 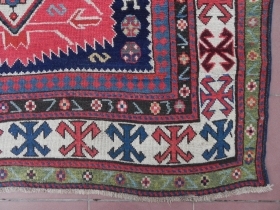 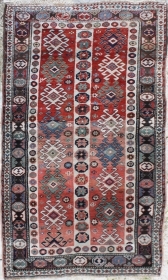 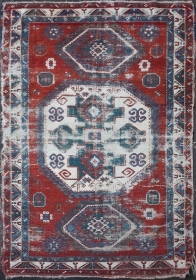 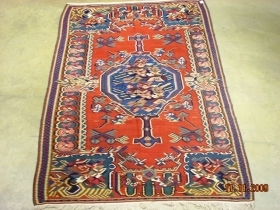 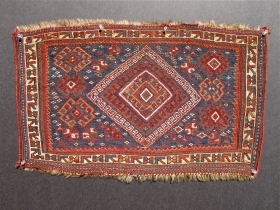 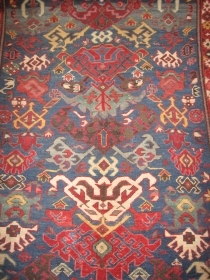 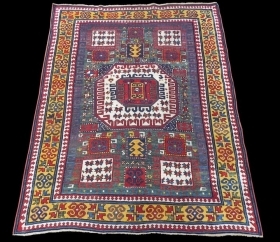 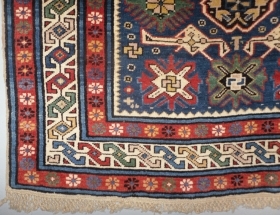 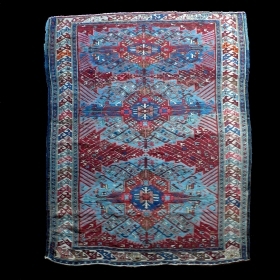 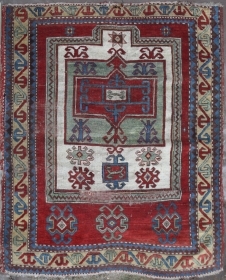 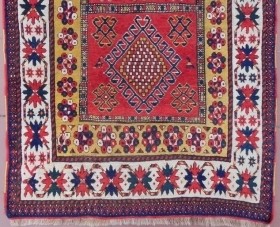 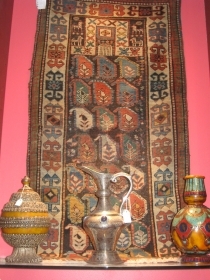 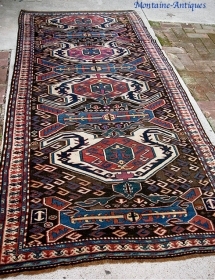 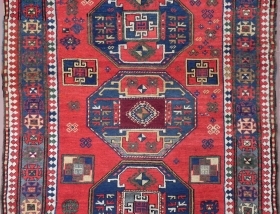 An East Caucasian Runner, 274x105cm (8.9x3.4), Good Condition and splendid colors. 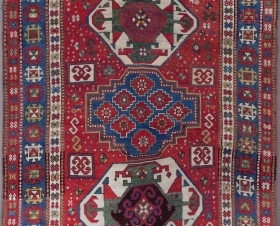 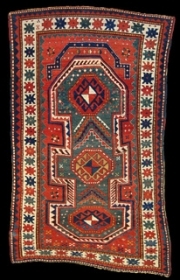 Caucasian Kazak Long Rug, 239x118 cm (7.8x3.8 ft), second half 19th Century, as found, Full pile and great colours. 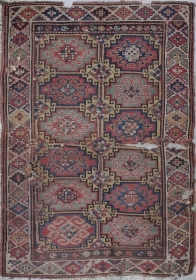 Caucasian Shirvan Rug, 194x97 cm (6x3.3 ft), 19th Century. 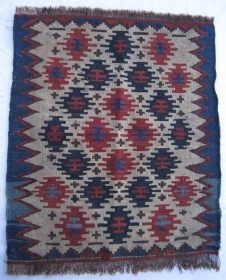 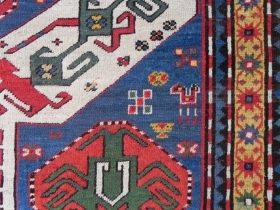 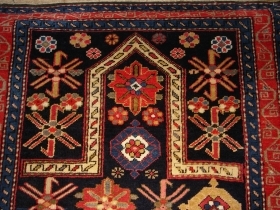 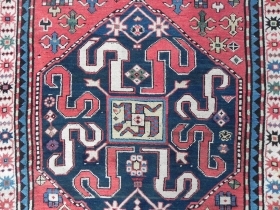 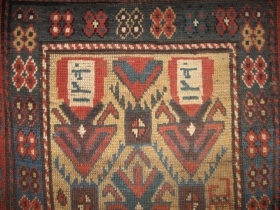 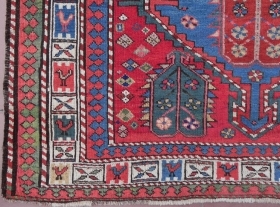 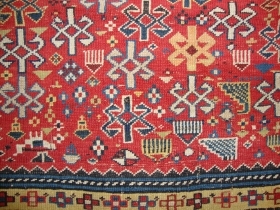 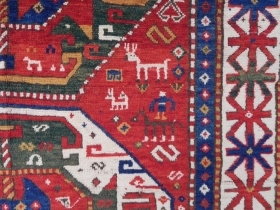 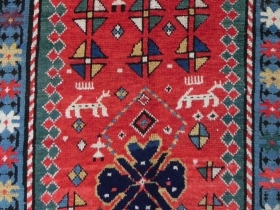 Rare fine Kurd Bijar kilim. 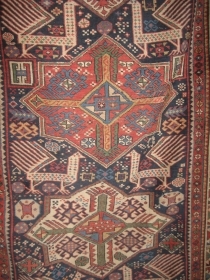 Approximately 7x4 feet. 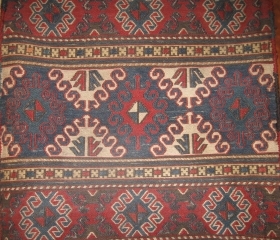 Influence of European design in tribal weaving. 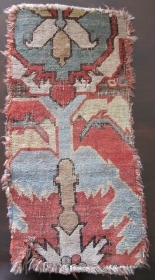 Circa 1930.
a Akstafa rug, 19th century, Excellent condition, Natural colours, Not restored, Size: 145 x 80 cm / 5.3 x 2.6 feet. 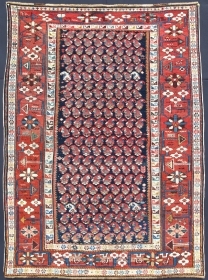 a Kuba rug, 19th century, Natural colours, Size: 164 x 95 cm / 5.3 x 3.1 feet.